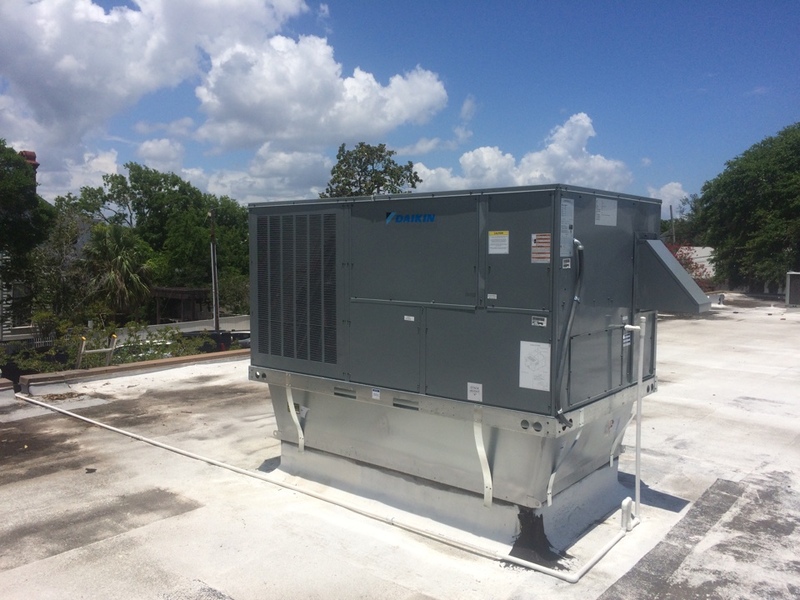 Fernandina Beach, FL Air Conditioning & Heating Services – Service, Repair, and Installation AC Comfort Systems provides air conditioning, ductless, heat pump and heater repair, service, and installation in Fernandina Beach, FL and surrounding areas. 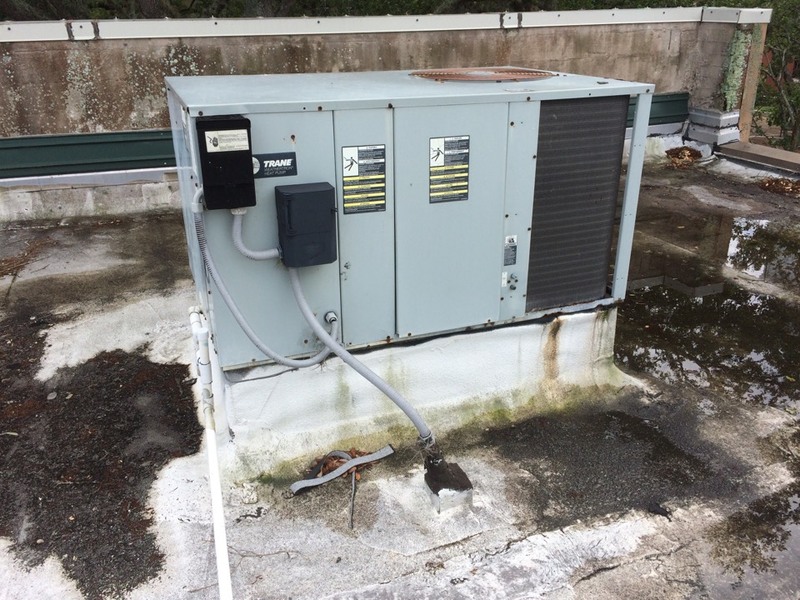 Third time we've used AC Comfort Systems for our seasonal maintenance. They are professional, yet friendly. Maintenance service appears thorough. The A/C guys were extremely professional and polite. The problem they were repairing had to do with engineering and not AC Comfort. Needless to say the installers did a great job of repairing the issue the best they could. Oliver was especially helpful in explaining the system and making sure I understood about maintenance etc. Took care of heat pump/ac - suggested things to do in the future. Fernandina Beach. 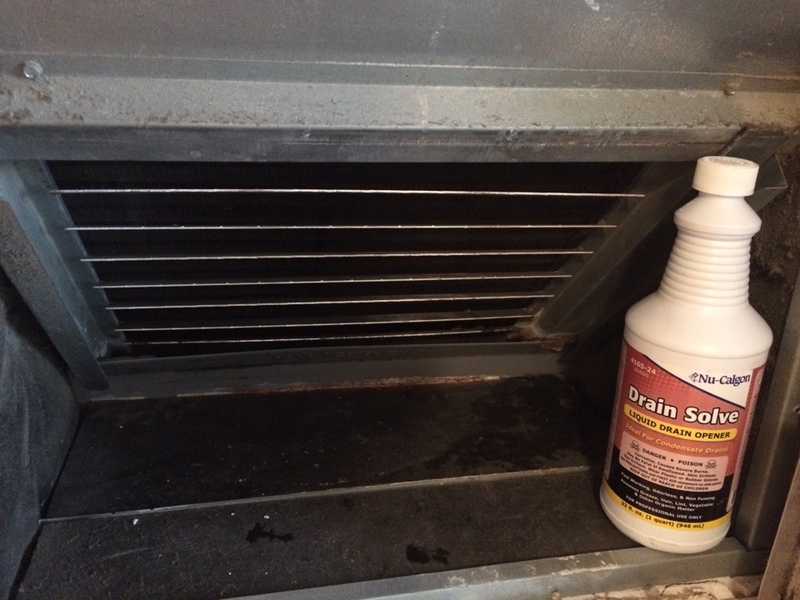 A/C system maintenance. Fernandina Beach. Check A/C that’s not working. Fernandina Beach. Checking RTU on commercial building that keeps tripping breaker. Fernandina Beach. Free quote to replace heat pump system. Fernandina Beach. A/C is leaking water. Amelia Island. Replaced bad Evap coil. Fernandina Beach. Changing a leaking Evap coil. Fernandina Beach. Cleared blocked drain line and treated with drain solve. Drain is flowing properly now and system is cooling. Fernandina Beach. Repaired old RTU and it’s now cooling. Fernandina Beach. 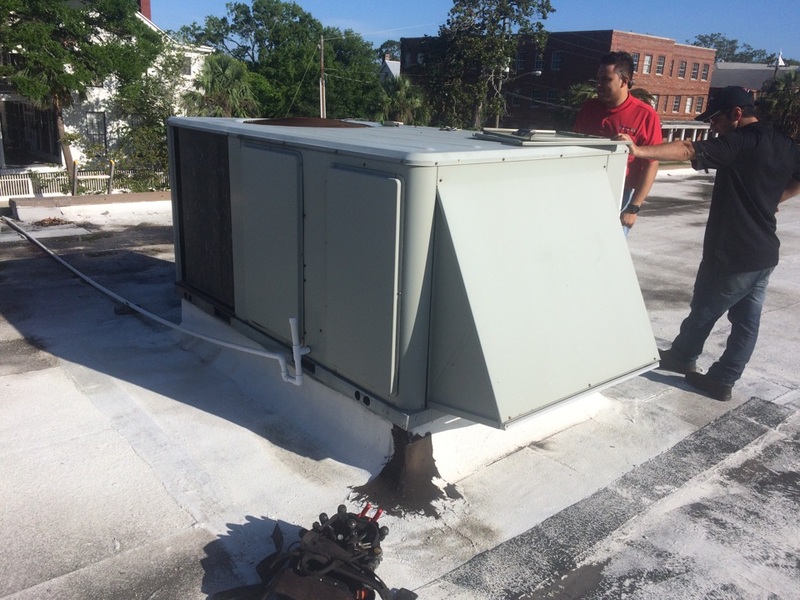 Checking A/C unit on a roof top for a commercial building. Amelia Island. A/C system check. Amelia Island. Changed Carrier Evap coil under factory warranty. Amelia Island. Checking A/C that’s not cooling properly. Fernandina Beach. Checking A/C system for a commercial building. Fernandina Beach. 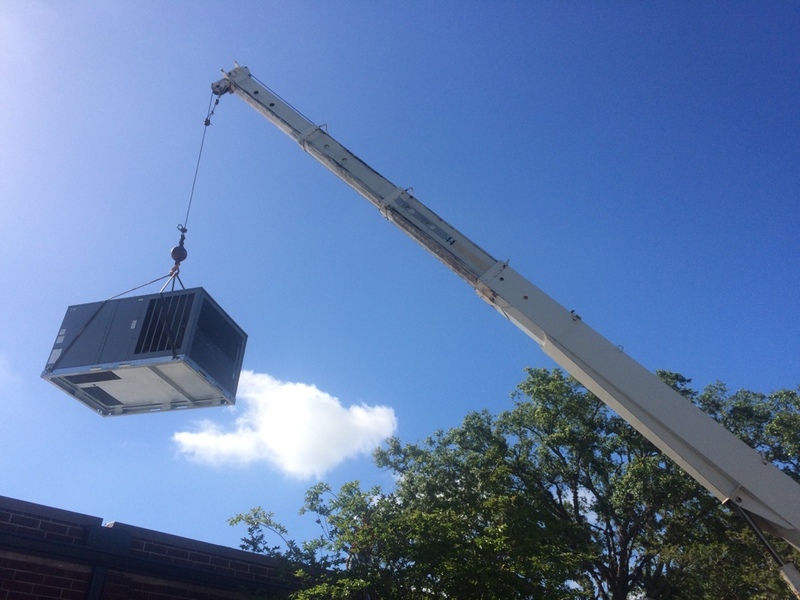 Installed a 7.5 ton Daikin 14 seer commercial heat pump RTU. Fernandina Beach. Swinging new 7.5 ton with crane. Fernandina Beach. Free quote to replace RTU on commercial property. Amelia Island. 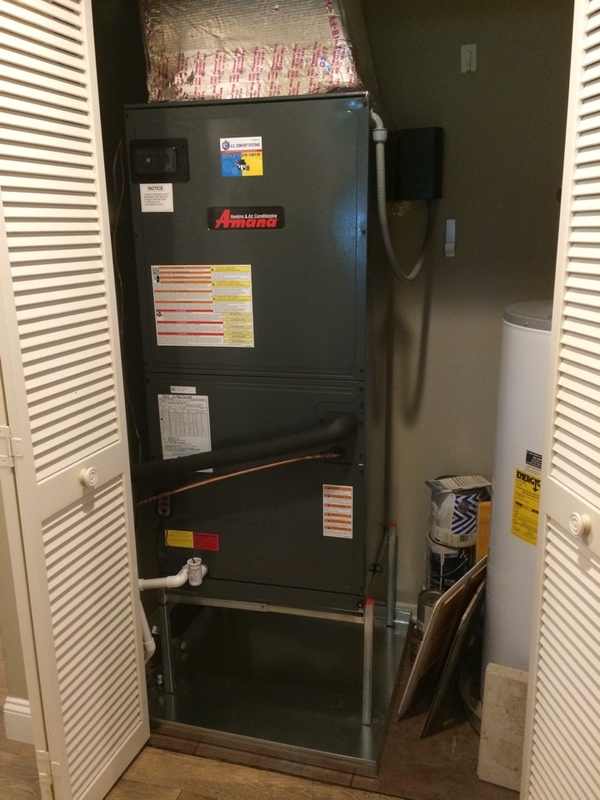 Installed a 3.5 ton Amana heat pump system. Fernandina Beach. A/H leaking water. Cleared blocked drain line and treated to kill algae.